Sheena Hauf was brought to my attention for this series by members of the OCR community. When writing these articles, I try and find women who are relatable and badass in their own ways. After completing multiple marathons and triathlons, she wanted a change of pace. OCR has challenged her to be stronger and work harder, and I am truly honored to share her story with you all. Growing up I was athletic, always playing sports and my family would go backpacking for our summer vacations. It wasn’t until I got out of high school and found it so much easier to be lazy and party. Then I was just active. I did have very active and demanding jobs in the summer fighting wildland fires out of Yellowstone National Park, but I only did the bare minimum for that job. I am lucky that I did not place myself in a dangerous position where my fitness level could have hurt me. 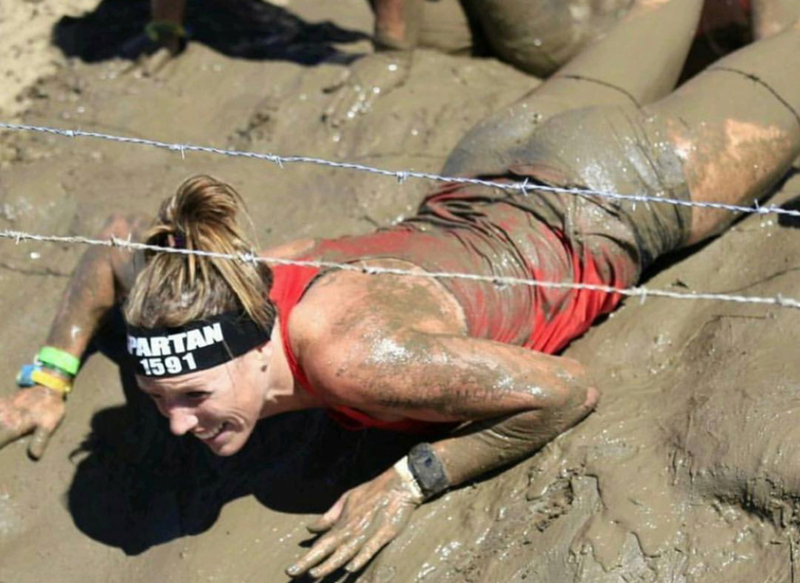 How did you get into the sport of OCR? 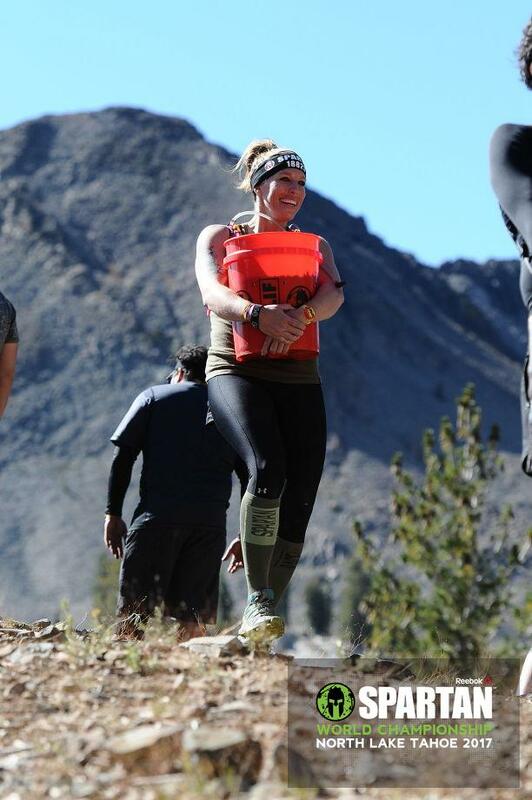 I did my very first OCR in the fall of 2014. I did a Tough Mudder in Snow Mass Colorado with my Cousins. Had a blast. Didn’t really get into OCR until May of 2015 when I did the Montana Spartan Beast and Montana Spartan Sprint back to back races. It was then I realized this was a sport I could get into. Montana Beast and Sprint weekend May of 2015. I did a race with my friends who had done this race the year before. If it wasn’t for them I don’t know if I would have continued on. I have done so many races since 2015. I got my first trifecta in 2015 with the Montana beast and sprint and then the Seattle super. 2016 I got a triple trifecta and went to the OCRWC in Toronto. In 2017 I got my double trifecta and kept up my skills. Again went to OCRWC in Toronto. So far this year I tried for my first Ultra in NJ and a knee injury in lap one make my time out at mile 22. I have been to Vegas, NJ, Montana and Big Bear for Races. I have finished top 10 twice in my age group and I continue to keep getting better. I truly love this sport. I was getting bored of Triathlons since swimming is not my strong suit, I love running but marathons were getting drawn out. I wanted to find something that challenged me consistently and had a great community as well. I found that all in OCR. Do you feel that due to strong women like yourself, that others are more willing to push their own limits? I completely agree that when you put yourself out there and challenge. Other people see that and are inspired. I always tell people that If I can do it, they can too. Things should be challenging. Even from failure, we find how strong we really are. I'm always looking to push myself and make a better version. I love anything I can climb or swing on. I have been working on my upper body strength this year. Any of the Rigs have been so much fun. I love seeing the progression in myself from 4 years ago, a year ago, 5 months ago. I love to keep getting better. I am not a big fan of the spear throw. No matter how much I practice. I am about 30/70 on it. I secretly call it the burpee maker. Is there is an OCR or endurance race that you will never do? Never say never. 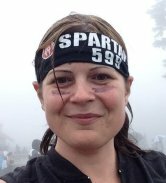 Two years ago I said I didn’t think I wanted to do an Ultra. Here I am signed up for 3 in 2018. As my confidence and skills grow with this sport, so does my challenges. Who knows, Maybe someday I’ll do an Agoge. Are you someone that plans your race schedule in advance? I am both. I always get my season pass and start planning in November for the next year. I’m a nurse so I try and get all my time off for work scheduled. But then if I have a free weekend and the stars align. I will take advantage of that too. Two weeks ago I signed up and raced in Big Bear with 4 days’ notice. I am lucky to have family and work that understand this is more than a passion for me. It’s my lifestyle. If someone were to give you a plane ticket, and a paid race entry to any event in the world which one would you love to go and do? I would go to the trifecta weekend in Greece. That would be amazing to be a part of. The atmosphere, the people, the race. I would love it all! With so many amazing women on course this year, do you find yourself becoming more competitive, inspired or both? Defiantly both. With women like Rhea, Alyssa, Lindsey, Amelia. How can you not be inspired and a little competitive? They are making leaps and bounds. Makes me proud of the sport and also makes me want to push myself. This year I started to train at a gym here in Billings, Montana. Its called Altrain Fitness and it is a mix of OCR/Ninja Warrior/Crossfit kind of gym. There is a little bit of everything to work on. This has helped my upper body training immensely. We have everything from free weights, rigs, ropes, warped wall, box jumps. I have completely elevated my training and it shows. Every day is something new. Makes me want to show up to the gym. I don’t have to workout, I get to workout! If you have one, what is an on-course nickname people have for you? People call me Triple S. Or the Sheena Sh!t Show. I am loud, friendly, the life of the party. You never know what you will get with me. I am all for memories and fun times. You will always see me smiling. Don’t doubt yourself and don’t give up. This is a hard sport and nothing comes easy. I did not get the rope climb down until two years ago. 4 years ago I could not even do the monkey bars without help. Try everything once, don’t get frustrated. Things will start clicking. I love this sport for the community as well. They are always there to help and support. My biggest inspiration for any race that I have ever done has been my grandma. She has climbed Mt. Ranier, she has run 19 marathons, and she still stays active to this day in her late 70s. Grandma always wants to hear about my adventures and my next race. Every event I ever do, I always have her on my mind. Karlene Harding is an animal! I have had my ups and down with my fitness journey. I lose my motivation, I gain weight back, but it’s the OCR community that ways refocus me. Someone out there has been there, done that. I have gone from a 20-year old that loved to party and drinks beer, while weighing close to 200 lbs, to athletic 37 years old who is loving life and having a blast doing it. Whats the best way to reach you on social media if someone wants to reach out? Great article about a truly great person and an inspiration to so many people!